Welcome to Powell Plumbing Inc. Plumbing Services for Richmond, Ashland, Midlothian, Chesterfield, Henrico, Hanover, Goochland, Powhatan, and all other counties. Powell Plumbing, Inc. is a local family owned business, operating since 1986. We are a class-A business contractor with a master plumbing and gas license. Our goal is to provide customers with knowledgeable and quality service that we would expect to get from a company. From new construction or repairing small leaks to remodeling your whole bathroom or kitchen, we are dedicated to giving our customers an outstanding job and customer satisfaction. If water runs through it, we know how to do it and if gas fires it, we pipe it! Are you tired of stains in your sinks and tubs, or how about that rotten egg smell from that faucet. Water can become contaminated without you even knowing it. 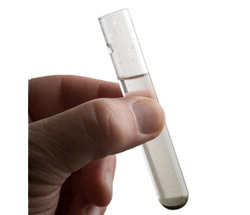 We can test your water. We can recommend, install, and maintain the proper treatment system for you. Our main supplier is Water-Right, a water treatment manufacturer. Their innovative systems provide quality solutions to the most challenging water. We are a certified Rinnai Tankless water heater installer. There are many reasons to go tankless over the traditional water heater. You will get a cleaner more sanitary hot water supply and a continuous hot water supply, simultaneously to multiple fixtures. It will provide you with a safe consistent temperature. A significant energy savings and space saving over conventional tank water heaters. Not to mention the reduced risk of flooding and up to a 20-year service life. 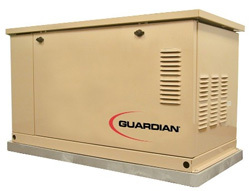 We install Generac generators, so when the power goes out you can still operate everything you need in your home. Power outages are occurring more frequently than ever and lasting longer with devastating effects. Stand up to unpredictable weather and unforeseen outages with the most trusted name in residential standby power. If the power ever goes out, your Generac standby generator goes on - automatically - protecting you and your home 24/7. We want you to rest assured you have made the right decision in choosing us. References are always available.